The starter circuit is pretty simple. If you look at this diagram, you'll see that the power is supplied to the ignition switch via a thick red wire. 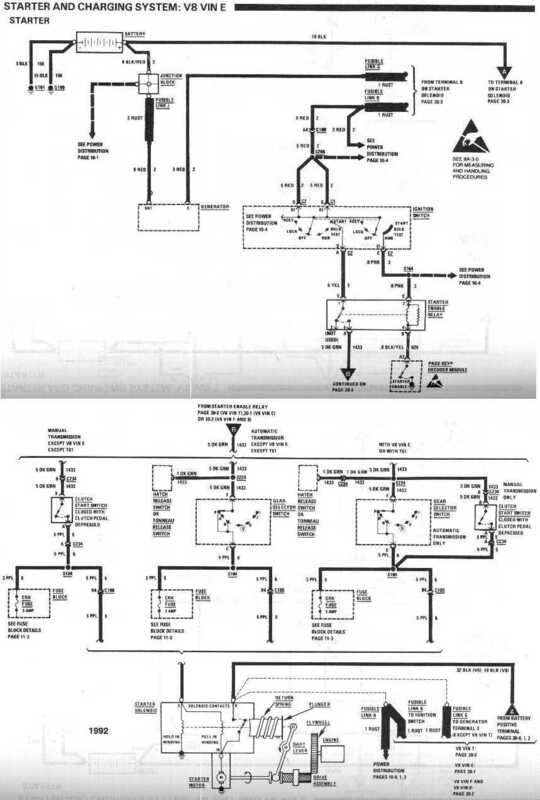 When you turn the key to the Start position, the power is then sent through the thick yellow wire to the Starter Enable Relay (on VATS equipped vehicles since 1989). If your VATS is functioning properly, this relay is closed and sends the power further down to the Automatic Transmission Shifter Switch (or the Clutch Pedal Safety Switch) via a thick dark green wire (usually). If the shifter is in Neutral or Park (or the clutch pedal fully depressed), the power then continues through a thick purple wire to the starter. You can use a voltmeter or even a 99-cent test light to follow the power from the ignition switch all the way to the starter. Or if you prefer, you can do so in the reverse order, from the starter to the ignition switch, the choice is yours. By following the path of the power between the ignition switch and the starter, you will be able to identify the location of the interruption, thus discovering the faulty component or wire. - the ignition switch is atop of the steering column, above the pedals, up in the dash. The best way to access it is to drop the steering column a little. - the Starter Enable Relay (on 1989 or later models) can be usually found up in the dash by the fuse box or possibly behind the driver side kick panel. - the Automatic Transmission Shifter Switch is attached to the shifter, under the ashtray. It can be accessed by removing the shifter plate. - the Clutch Start Safety Switch resides on the pedal assembly, towards the top an firewall. It is not uncommon for VATS or Starter Enable Relay to cause trouble, it is not unusual for an Automatic Transmission Shifter Switch to break. I've even seen burned-out ignition switches. So grab a test light and go find out what's broken so that you can replace it and get back on the road.